Does anyone know if Leake Street is being closed to just vehicle traffic or to pedestrians as well? From the office window it looks like it is also being closed off to pedestrians which would be quite annoying. It's supposed to remain open to pedestrians. There is some info here on the WQBA website. Thanks James - as I type the direction of the hoardings is changing a little and there may well still be a gap for pedestrians to pass through when they are finished. Time will tell! The tunnel is still open, but eerily quiet without the taxis. 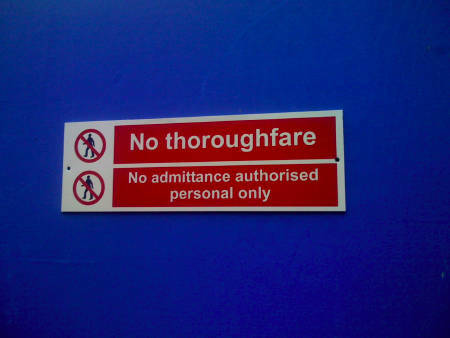 Shame about the notices that have gone up at the Waterloo International end. 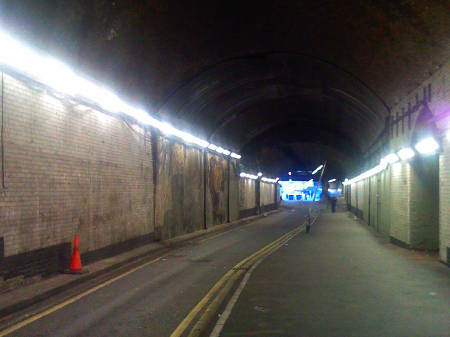 Leake Street is temporarily closed. Seems to be opening again this weekend after some "maintenance". I did hear talk of some kind of street art event happening in the tunnel over the bank holiday weekend, but haven't been able to track down any firm info. Could be something to do with that. The sign said maintenance - but a colleague said something about a graffiti exhibition just now. Maybe they're replacing the Banksy they painted over a while back. I'm gutted now that I'm not around this weekend.